Solar power generation may be growing at an incredible rate, but there is still a lot of misinformation floating around about the nature of this renewable energy. Below are four solar energy myths and the realities behind each. This is entirely false. In fact, solar has proven to be more efficient than fossil fuels and many other resources. When fossil fuels are used to generate power, a good deal of that energy is lost as it is transferred to its destination. On the other hand, when you create solar power, all of that energy is used one way or another. Actually, most solar panels work best in cold, sunny climates. In lower temperatures, conductivity increases, allowing electricity to flow more efficiently. As solar panels heat up, they produce less power from the same amount of sun. Cloudy conditions may reduce the amount of energy produced, but solar panels can still work efficiently. Germany, for instance, gets less than half the amount of sun exposure as the U.S. on its sunniest day, yet Germany has one of the most successful solar initiatives on the planet. On the contrary, solar systems are extremely durable and require very little maintenance. Most installers recommend having your solar panels inspected once a year and many companies offer warranties for the whole life of the system. In fact, nearly every state in the U.S. offers some kind of incentive for solar power generation. 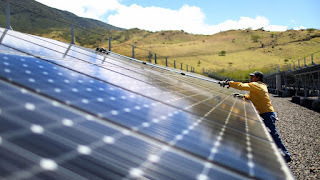 Furthermore, the federal government is currently offering a 30% tax credit for solar power systems installed before the end of 2019. Solar power generation is becoming more and more convenient all the time. Costa Rica Runs Almost Exclusively on Green Energy -- Why Don't We? While many companies around the world are making a conscious effort to use fewer fossil fuels, finding available alternative forms of energy has proved difficult. But while companies struggle to transition to green energy in 2016, an entire country nearly succeeded in doing so. Costa Rica reported ran its entire country on exclusively renewable energy for 250 days last year, according to the country's power operator. Its main power source -- hydropower -- is driven by the country's heavy seasonal rains as well as the power of the surrounding rivers. In all, hydropower provided 98.1% of all energy to the country. The remaining 1.9% was provided by fossil fuels. Shockingly, Costa Rica was even greener in 2015, when 98.9% of the country's energy usage was generated by renewable sources. So what makes Costa Rica such an energy conservation haven? Firstly, its population is only about 4.9 million people, which is about 65 times smaller than that of the United States. According to energy data, it also generates 373 times less energy than the U.S. does. Costa Rica's economy is far from industrial. It has a much stronger agricultural and tourism focus. Even if the populations of Costa Rica and the U.S. were rationalized, the U.S. would still generate far more energy to power manufacturing plants, office buildings, schools, homes, and more. On Dec. 23, the U.S. Energy Information Administration reported that between January and October 2016, hydropower, wind, and solar generated 15% of the country's energy supply, a 5% increase from the year before. Two-thirds more of our energy was generated by natural gas and coal, and the remainder was generated by nuclear energy. But green energy companies are plentiful in the United States. Our problem isn't a lack of energy generation, but rather that the American people don't have enough choices for energy sources. In many areas of the country, there is only once choice for energy utilities, meaning that many residents don't even have the option of choosing a green energy company to provide heat or electricity. Energy deregulation provides a freedom of choice when it comes to energy sources. Starion Energy is a green energy company you can feel good about using. Check to see what sort of energy we can provide in your area! More than 150 years ago, wood was the source of nearly 90% of the nation's power generation. But as you know, the energy industry has gone through a number of changes, and continues to do so rapidly. As we become more focused on conserving energy and reducing costs, the U.S. is seeing a shift towards energy deregulation. For the past century or so, governmental agencies have worked with individual utility companies and energy suppliers to offer people a single standardized option. This kind of tight control helped establish an infrastructure and stabilize the industry during the early 20th century. However, in today's world, this regulated system has become outdated. Rather, supporters of energy deregulation are aiming to allow alternative suppliers to enter the market and restructure the way we purchase energy without changing the way we deliver or receive it. We know that capitalist economies harness the power of competition to drive down prices. This is what can happen as a result of energy deregulation. A deregulated market can help force energy suppliers to compete for business by offering more attractive rates. Worried about your carbon footprint? 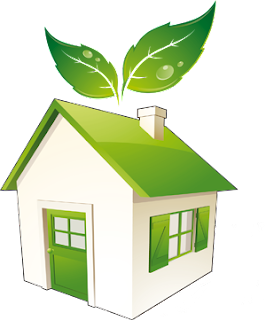 Energy deregulation allows consumers to opt for greener energy by choosing an energy supplier who is dedicated to using renewable resources. According to the American Environmental Values Survey, as many as 77% of Americans are concerned about the environment. 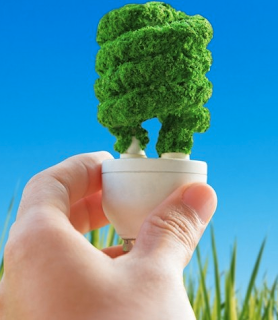 In a deregulated market, you have the option to do what is best for the planet while conserving energy and money. Regulation can give local utility companies a monopoly on the energy market. Without any competition, they may not have to work hard for your patronage, which can result in potential customer service shortfalls. In a deregulated market, competition can help drive prices down, as well as boost customer service efforts..
Because deregulation affects who supplies your energy but not how your energy is delivered, if you do decide to switch to an alternative supplier from your local utility, you won't experience interruptions in service. You won't have to install new hardware either. The process of switching over is quick and simple.